Home / Blog / Uncategorized / Is California Senate Bill 1235 Great for Business but Bad for Commercial Financing Providers? Will California’s Senate Bill 1235 ultimately impact the rest of the country and require all fintech and factoring companies nationwide to provide additional disclosures regarding how they provide financing to small and mid-size businesses? 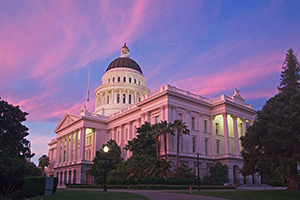 That’s the question being asked by many solution providers and non-depository lending organizations in the Golden State as the proposed law makes its way through the California State Legislature. If passed, the bill will require additional disclosure requirements for commercial financing for amounts up to $500,000. 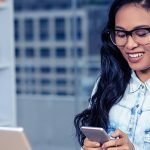 While those receiving the financing might see this development as an additional protection to ensure they and their organizations understand exactly what they will receive and what’s required of them, those providing the financing may see this as an unnecessary, additional step that will ultimately slow the lending process. … a provider who facilitates commercial financing to a recipient to disclose specified information relating to that transaction to the recipient at the time of extending a specific offer of commercial financing, and to obtain the recipient’s signature on that disclosure before consummating the commercial financing transaction. The bill would require that disclosure to include specified information, including the total amount of funds provided, information related to the payments to be made, and the total dollar cost of the financing. In addition, the bill would require those providing the financing to disclose the annualized interest rate, a description of the funding as well as repayment process, an explanation of prepayment policies, total monthly payments required and whether collateral is a necessary component of the financing. Such disclosures have long been required by lending institutions for personal loans, such as mortgages and lines of credit, but have not been necessary for commercial lending. 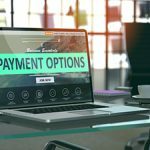 If the bill passes, it could directly impact organizations such as fintech companies providing different forms of lending (i.e. variations of dynamic discounting), factoring companies and other organizations currently in the business of purchasing accounts receivables from companies. The provisions of the bill do not apply to depository institutions, such as specific state and federal financial institutions or commercial banks, nor does it apply to providers delivering five or fewer commercial transactions per year. Obvious questions arise regarding whether the bill helps or harms small and mid-size businesses looking to finance their accounts receivables. Additionally, what is the impact on those organizations offering technology-enabled commercial financing and factoring solutions? The answer lies in one’s perspective. For businesses hoping to receive financing, it clearly can provide an opportunity to gain clarity around the loan they seek and to ensure that what they are being sold is exactly what they are receiving. Oddly enough, the issue of customer organizations taking early payment discounts but not actually paying early may be a bigger issue for small and mid-size businesses rather than clarity around financing. Nevertheless, this appears to be generally good news for organizations receiving financing from non-depository institutions. 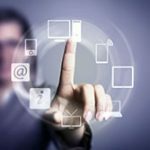 For organizations providing the financing, it may significantly slow the process for providing those funds to their customers, especially for fintech providers relying heavily on technology to provide financing with a simple click of a button. For example, providers that offer a form of dynamic discounting, where recipients can select to be paid early and choose their discount rate based on a sliding scale, may now require an additional step or two in order to finalize the early payment. To what degree these steps slow the process will depend on how well solution providers leverage technology to incorporate disclosures into their offering. Assuming Senate Bill 1235 passes, how affected commercial financing providers react will be worth watching. 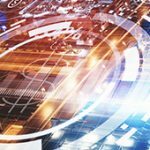 It will also be worth noting whether other states will follow suit and if a completely new technology to address this requirement materializes from fintech providers.